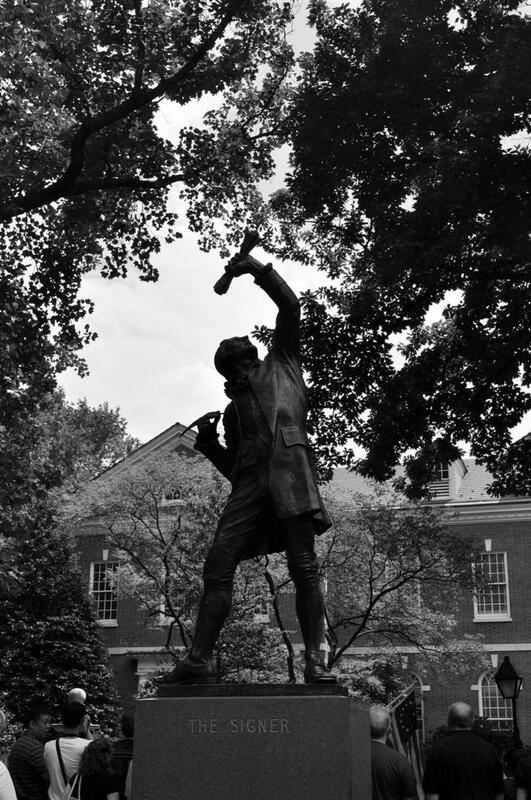 A statue of The Signer in Philadelphia. This photo is significant, because today a man from Philadelphia is signing a very special contract with a very special lady in Christchurch. Yes, today Jeremy and Lillian are getting married! Congratulations, guys! Looking forward to the color photos of the contemporary event mentioned above! Oh, and have you been to Boston, yet? I can’t remember. Above photo reminded me of that lovely city. Probably won’t be until I’m back in NYC where I have all my photo editing stuff on my own computer! No, we haven’t (yet, at least) been to Boston.